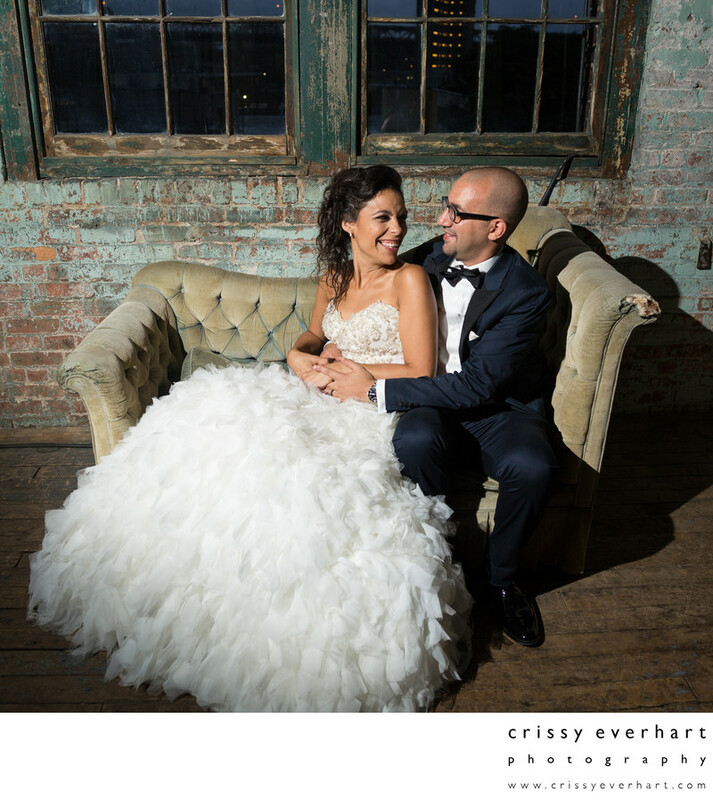 Mexican bride and Egyptian groom snuggle on some prop furniture in the Metropolitan Building in Long Island City, New York. This building has an entire floor of props - sofas, chairs, lamps... everything. So photographing some neat wedding photos here was exciting - unique finds around every corner! Location: 44-01 11th St, Long Island City, NY 11101.